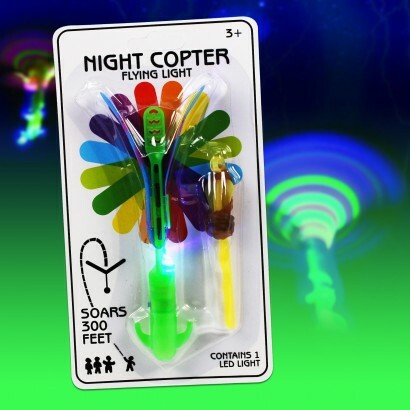 Inspired by the twirling sycamore "helicopter" seeds in nature, this seriously addictive twirling night copter is lit by a blue LED so that you can track it's graceful return to earth no matter how dark it is! 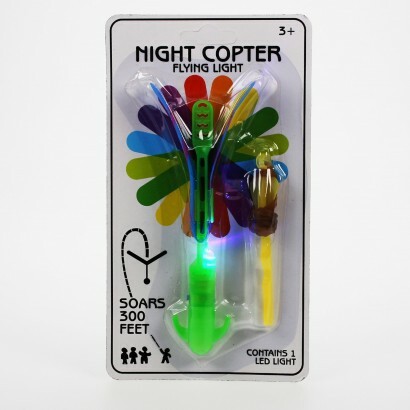 Launch the night flyer up to 300ft in the air and see it soar through the sky before twirling back to earth in a hypnotic display featuring a dancing blue LED! 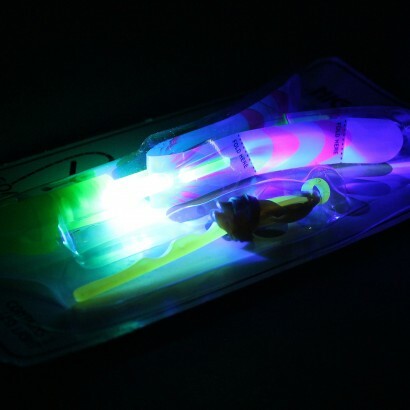 Brilliant fun and seriously addictive!